Hi all, bought a 2003 5 dr 1,0 t3 Yaris made in france,it came with out a parcel shelf.Have seen one for sale,but it has the two clips on the back edge and plastic clips at the front to clip to a bar. 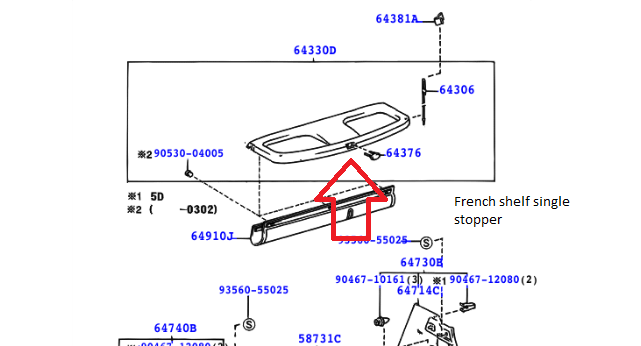 I believe this is a Japanese shelf, will it or can it fit my French made Yaris? 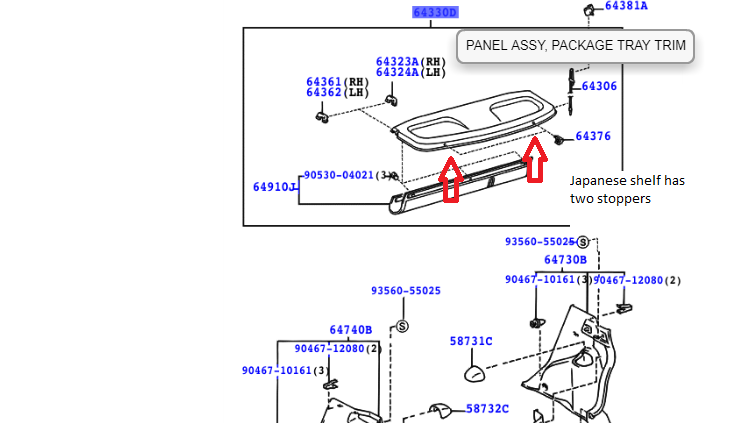 Our 2004 French T3 parcel shelf has Velcro at the front which fastens to the rear of the rear seat backs. The back of the shelf has a cord at either corner which clip to the tailgate so that the shelf lifts up when you open it. This is the same on my 2003 1.0 French built Yaris.